BRAND NEW SHINE Dave Pirner slips sounds of New Orleans, his adopted hometown, into new Soul Asylum album. 'I think I always kind of wanted to be a drummer," says Dave Pirner. 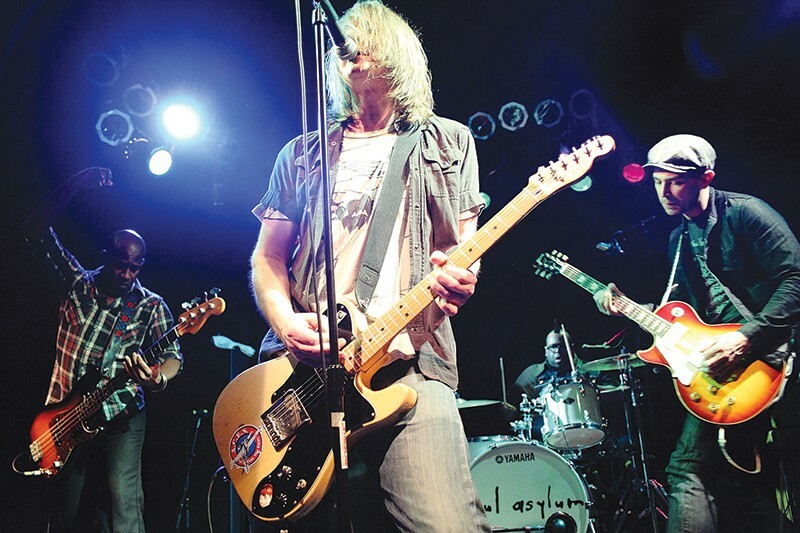 The frontman and songwriter behind platinum-selling alternative rock band Soul Asylum may have begun his career behind the kit, but he's known the world over as the voice behind massive '90s hits like "Runaway Train." With a new album in the works, Soul Asylum perform with long-time punk rock friends the Meat Puppets in Petaluma on July 26. Speaking from his adopted hometown of New Orleans, Pirner talks about growing up in Minneapolis, where Soul Asylum first took shape in 1981. "I started to realize there was music happening in the city," Pirner says. "It was a revelation to me, like, 'Wow, I could do this too.' I didn't know you could do it just because you wanted to." By the time Soul Asylum released their iconic "Runaway Train" in 1992, the band was already a decade and six albums into their career. Pirner recalls that he was so deep in the trenches of touring and publicity then that he hardly had time to appreciate the moment. "[The song] has gone beyond music into popular culture in a way that I don't think anybody was ready for," he laughs. For the past 15 years, Pirner has lived in the cultural melting pot of New Orleans, and the town has seeped into his psyche. "That can't not become a part of you," he says. "There's a lot of syncopation and polyrhythms in New Orleans music. I was hearing this and feeling this, and said, 'I need to be a part of this.'" Pirner is in the midst of finalizing Soul Asylum's 11th album, set for release in late August and tentatively titled Change of Fortune. "It's really taken a big step forward," Pirner says. "This record is pretty incredible to me, as far as what we can do with the band and how many different directions we can take it in." The album, he says, embraces music in the most open-minded way possible. "I think that's what keeps it fresh and interesting. There are some things on this record I've always wanted to do, and I finally get to write them into songs that are coming from a lot of different places, a lot of different kinds of music that are all important to me." The band's upcoming concert will include plenty of new songs, but will also reach back to the band's earliest days. "It's probably the widest swath of Soul Asylum music that's ever been presented, as far as handpicking songs from the entire canon." Soul Asylum share the bill with the Meat Puppets on Sunday, July 26, at the Mystic Theatre, 21 Petaluma Blvd N, Petaluma. 8pm. $26. 707.765.21.21.